Is the fear of wasting time with mistakes keeping you from delegating? Worried you’ll spend more time explaining or fixing than getting stuff done? It’s hard to trust other people, and it’s easy to get frustrated when people don’t get what you mean. While it may seem that good help is hard to find, maybe seeing mistakes in a different perspective can help you get over this challenge. I know what it’s like. I tend to assume that my instructions are clear, even though I know people can’t read my mind. I tend to assume that my instructions are clear, even though I know people can’t read my mind. Even when you work with good people, people aren’t always going to know what you expect from them. Yes, the first few tasks are going to be frustrating, but hang in there. You could have a great team. Don’t let those initial frustrations get in your way. A mistake isn’t wasted if you squeeze everything you can learn from it. We learn more from our mistakes than we do from our successes. Remember: you’re learning about managing people at the same time that they’re learning to work with you! Let me tell you a story about the first task I gave a new assistant. You see, I’ve been curious about how delegation can help with my writing and sharing. I recently hired a writer through oDesk. I wanted her to help me go through a transcript and pull out good Q&A opportunities for follow-up blog posts. That way, good ideas didn’t just languish in hour-long podcasts or long documents. I interviewed one of the candidates on Skype, and by the end of it, we were both excited by the possibilities. I thought I sent my new assistant a link to the document that already had the transcript that another assistant prepared. I expected the task to take 30 minutes, maybe one hour at most. It’s a good thing I checked on her using oDesk’s automatic screenshots. I realized that instead of pulling Q&A from my existing transcript, she transcribed the audio file I sent. Uh oh. She had spent five hours doing the wrong task. One of the things about being a good manager is deciding that yes, the buck stops with you. I wondered where I’d gone wrong. Were my instructions unclear? Did something get lost in transmission? I talked to her to clarify what had happened. It turned out that she didn’t see the Trello card with my instructions, only the folder with the audio file. I hadn’t made sure she knew where to look for her current task. I hadn’t confirmed that she understood my verbal instructions, which turned out to be ambiguous.You might think that this would have been a complete waste of time and money, but it wasn’t. You might think that this would have been a complete waste of time and money. It wasn’t. It was a great opportunity for both of us to learn more about delegation. Yes, we spent an hour together as I outlined my goals and made sure she understood where we were going to begin. There was a lot of information packed into that hour-long session. While she thought she knew what I expected of her, I never asked what she thought her task. She told me later that she had been looking forward to starting the project. But moving had tired her out and all the new information overwhelmed her. We both assumed we knew. My new assistant offered to take that time off the record so that I didn’t have to pay for it, but I told her to keep it on. After all, the work that she did was useful too. I rarely assign duplicate work, but having that second copy makes it easier for me to see the differences between the way people do things. And hey, it’s no big deal in the long run, which brings me to the second reason why mistakes are great and you shouldn’t be afraid of them. Mistakes give you a chance to be a good manager. Contractors deal with many uncaring clients who blame them for all the mistakes that happen. Here’s your chance to be different, and to build a closer connection with someone whom you might come to trust even more. 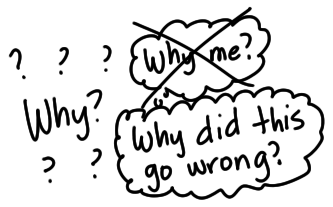 Take a thoughtful approach to solving problems and helping people move on. You might find it easier to engage and keep people who will bring more of themselves to the work. You can pay for grudging compliance with tasks and specifications. You need a special connection for creativity and initiative. A mistake is a good opportunity to connect as a human being. If it’s your mistake, ‘fess up. If it’s the other person’s mistake, be understanding. In both cases, be human. What about situations where you keep getting the wrong results? Maybe there’s a mismatch of skills or expectations. I recently ended a contract with another assistant who couldn’t deliver what I was looking for at the time. Sometimes it’s just not the right fit. If you like people and they have other skills you need, see if you can work around their weaknesses and play to their strengths. If they’d be better suited to other teams or other kinds of work, then it’s good for everyone to move on. Think about how you’ll change your processes for interview, onboarding, or probation. You can get the benefits of that mistake too. Don’t let the fear of making mistakes stop you from delegating. There’s so much to learn from them. Think of your inevitable mistakes as the tuition you’ll pay to learn how to tap other people’s skills. Good luck! I’ve been helping other people get started with their own experiments in delegation, and one of them asked me how I manage my team in oDesk. Here’s how I do it. I like thinking of oDesk contracts as mini-experiments. It’s not about hiring amazing people – as in the regular job market, amazing people usually have their plates full of work and don’t have to look for more (aside from word of mouth). Each hire is an experiment involving the process and the person. If it works out, wonderful; I’ll keep them on as long as I can find work for them to do. If it doesn’t – and there have been some gigs that were just not a good fit – well, it’s only a small experiment. I like taking notes so that I can hire people again for other things. Many people move on from oDesk after some time, though, so I haven’t always been able to go back and rehire people who have worked out. I try to focus on developing good processes instead of relying only on hiring good people, though, so I don’t mind turnover so much. I sometimes have to refer to my notes to remember whom to send tasks to, though! Someday I might graduate to having one or two assistants with more time dedicated to my tasks. In the meantime, this patchwork of assistants requires a little bit more oversight. I usually post my job ads for as-needed work, 1-3 months, < 10 hours a week. This gives me the flexibility to experiment on a low-commitment basis. In addition to describing my requirements, I also ask that job applications show their attention to detail by beginning and ending their cover letter with an unusual keyword, such as “blue”. This makes it super-easy to filter out people who are indiscriminately applying to job posts or who don’t read the requirements all the way through. Many people put in the first keyword, and a few remember to put in the last keyword as well. I often ask people to include a sample of their relevant work in their cover letter, and to describe their experience (especially for skills that are optional but useful). I detest the scammy practice of asking people to do unpaid work as part of their application, so I only ask for existing work samples. Stephan Spencer (one of my delegation role models) uses a riddle in his job application / interview process as a way of testing people’s thinking. He spins one of the classic riddles into something that’s not easily Googleable, so he can see if people can figure things out on their own. Virtual assistant needed for appointment setting, following up after events, managing social media, etc. As mentioned, I use attention to detail as one of my quick filters for applications. I usually also search and filter by 4.0+ rating, > 100 hours on oDesk, but I’ll look at the reviews even for people with lower rating if I like their profile. I’ll occasionally take a chance on people who are new to oDesk – everyone’s got to start somewhere – with the expectation that I’ll need to teach them a little more about working with me or using oDesk to file time. It’s always a treat to find good people in the Philippines because I’m from there as well, so the shared cultural background makes interviewing and working a little bit easier. When I come across interesting people’s profiles, I save their profile in oDesk or Evernote (Evernote is easier to browse/search). After I post the job, I invite them to participate. There are so many good people looking for work, though, so I don’t often do this. I occasionally create private job posts and invite specific people to them. I more often post public job posts even though I invite specific people to them, because you never know what kind of awesome talent is out there. I want to confirm that people understand the job requirements, find out how much they meet the requirements, and – also important – learn more about their other skills and their career goals so that I can come up with more tasks that fit them. I use ScheduleOnce to schedule Skype interviews. The timezone difference and the interface turn out to be useful filters for attention to detail and willingness to deal with unknown tools. For virtual assistant positions, communication skills and trust are key, so I like talking to people first. I’m working on improving my interview process. In particular, I’m going to start asking people to tell me a story about the time they were wrong about something or the time that they argued with someone. Talking to my mom about her HR issues (and now, sorting through my own! ), I’m beginning to realize the importance of understanding people’s conflict/disagreement resolution strategy and whether they can maintain calm and respect under stress. For straightforward tasks like transcription, I might hire someone without ever talking to them in real-time, because I can “interview” them in the process of them working on their first paid task. After we answer each other’s questions satisfactorily, I go ahead and set up the contract. For virtual assistants who will be communicating with other people on my behalf, I’ll set up a Google Apps account. LastPass makes it easy to share and revoke passwords, and I’ve also started the habit of keeping track of who has access to which accounts in order to simplify offboarding them when I end the contract and onboarding a replacement. I usually keep the job post open until the person has satisfactorily completed their first task and we’re happy with the time/process. That way, if I need to hire someone else, I can choose from the pool of applicants that I’ve already shortlisted. Depending on whether I have tasks that can be broken down and done in parallel (ex: data entry), I might hire several people with the understanding that I’ll choose one or two going forward. I send most tasks by e-mail because that’s the most convenient for me. I use Skype or Google Hangout to explain tasks in more detail. Since Skype tends to perform badly when I’m out and about, I also give assistants my cellphone number. I’ve been trying to get people set up using my VOIP phone so that they can call me, but we haven’t sorted that out yet. The easiest way might be for me to fund a company Skype account and have them call me with that. I don’t want to require people to shift their timezone / sleeping habits – some of my friends have done overnight shiftwork before, and it really messes up one’s social life. Since my virtual assistants have access to my calendar, they can either use that to directly book me or use ScheduleOnce to find a time that works with their schedule. I try to remember to specify due date and time budget (ex: spend a maximum of 2 hours on this, then send me whatever you have so that we can make sure you’re on the right track). The due date typically works, although I don’t think anyone’s been paying attention to the time specifications yet. I might revisit the Four Hour Work-week’s templates for getting these things communicated. I hate the idea of tasks falling through the cracks especially if assistants get preoccupied with other things, so I’ve been experimenting with project-management applications like Trello or Asana. I want to be able to see what tasks I’ve assigned to people, what’s waiting for a response, and what’s done. One of my assistants just updated her Trello board – hooray! I gave her a bonus to recognize her initiative. =) We’ll give that maybe six months of trying before I even think of introducing a different tool. We’ll see how this goes! In addition to the automatic billing that oDesk takes care of, I like catching people doing something good and giving them an unexpected bonus. I always explain why I give the bonus. For example, I’m impressed when people take the initiative and when they submit excellent and timely work, especially if this is my first time working with them. People don’t often negotiate with me for a raise, probably because my contracts tend to be shorter-term. As a client, though, I like being different by proactively giving people raises – I occasionally check my contractors’ profiles to see if they’ve raised their rates, and I’ll raise them during our existing contract because it’s good to reward good people. I also take notes on people’s career goals and personal interests, and I try to tailor the tasks to fit them. As the employer, the buck stops with me. If someone didn’t complete something to my satisfaction, it might be because I didn’t sufficiently communicate the requirements, didn’t invest enough time in oversight or training, didn’t filter enough for skills/fit, and so on. Each mistake is a learning opportunity. I didn’t specify the level of detail I wanted, so I get back a War and Peace epic equivalent when I wanted Hemingway-short summaries. Share the big picture (Why do I want this? What will I use it for?). People promise to work on something, but end up not doing it. It happens; people can be over-optimistic about their time. Set earlier deadlines than I need, and give myself leeway to try someone else or do it myself. Follow up. Then follow up again. If necessary, take the task back. I get the output back and think I should probably have done it myself instead (skills, background knowledge, whatever). See the value in a first draft and alternative perspectives. Focus on the good. Remember the additional benefits of this delegation experiment – it’s not just about saving time, it’s also about learning how to give instructions and work with other people. I find that some steps are missing. Consider whether the steps are truly necessary. Review the process and flesh out the steps. Explain why the steps matter. Turn the process into a checklist. Add the checklist to my e-mail templates if needed. An assistant is uncommunicative / unreachable. I take back any tasks needed. I follow up to see what’s going on. Life happens, and people sometimes need support and understanding to get through rough spots. If they’ve become too busy to work on my tasks or they’ve gone AWOL, I shrug that off as a cost of doing business, and pick up the threads from there. For chronic mistakes: If I get along with the person, I might give them different kinds of tasks instead. I might end the contract, but be open to hiring them again in the future. If I feel really uncomfortable, I end the contract and resolve not to hire them again, which has happened in a couple of cases. That’s also a good prompt to go back and think about how I can improve my hiring and training processes. What else would you like to know about how I delegate? Do you have any tips that can help me do this better? Like the loneliness facing early adopters, fast zebras can feel isolated. Identifying and connecting fast zebras can help them move faster and make more of a difference. 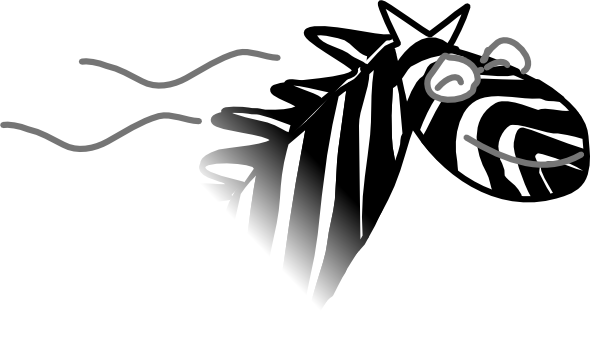 I can think of many fast zebras in IBM. People like Robi Brunner, John Handy Bosma, and Jean-Francois Chenier work across organizational lines to make things happen. Lotus Connections and other collaboration tools make a big difference in our ability to connect and self-organize around things that need to be done. They also provide informal channels for motivation, which is important because this kind of boundary-spanning work often doesn’t result in formal recognition (at least in the beginning). The book describes characteristics of organizations that successfully integrate formal and informal structures, and it has practical advice for people at all levels. It also has plenty of stories from organizational role models. My takeaway? Harnessing the informal organization and helping people discover intrinsic motivation for their work can make significant differences in an organization’s ability to react, so it’s worth learning more about that. Recommended reading. …It is important to note that by simply participating, managers transfer their status into the new paradigm; while not participating creates a real discrepancy. Sarah Siegel’s reflections on virtual leadership made me think about the changes that IBM is going through. We’re moving further apart from each other (more remote/mobile workers, more geographically-spread management functions), and at the same time, moving closer to each other through social networking tools. Front-line managers might still see many of their team members face to face, but dotted-line relationships across countries are becoming more and more widespread, and middle managers work in an increasingly virtual world. Many people struggle to translate management and leadership skills to the virtual world. They feel the loss of contact as we move away from offices and co-located teams, but they don’t have a lot of guidance on what excellent leadership looks like in this new globally-integrated world. There are no recipes or clear best practices in standard management and communication books, in the MBA courses they might have taken, and in the business magazines. Their own managers might also be dealing with the growing pains of the organization. So some managers participate, and many don’t. The ones who participate are figuring out what works, and they may make mistakes along the way. The ones who don’t participate (out of fear? lack of time? lack of confidence?) might end up finding it even harder to get started, and then people feel confused and isolated because they aren’t getting leadership and direction from the people who are supposed to lead them. I think managers really do want to help people work more effectively. It’s hard with all the external pressures and the pace of change, tools that are constantly evolving and practices that need to be adapted for the times, and greater challenges from both inside and outside IBM. Communities like the one Sarah Siegel organizes for IBM managers are vital, because managers need to be able to connect with other managers and learn from each other. There are no clear answers yet. Organizations around the world are still figuring things out. Many of the principles remain the same, but translating them online when you can’t see body language and you can’t make eye contact is difficult for many people. People need to learn how to not only work around the challenges of a virtual world, but also take advantage of its strengths. And there are strengths. Virtual teams are not just shadows of what we can do face-to-face. Going online brings new capabilities that we can explore. We need to help managers figure this out. Along the way, we’ll end up helping ourselves and other people, so it’s worth the effort. I remember growing up and realizing that even though I’m the youngest of three children, my parents were learning all sorts of new things about parenting while raising me. That helped make it easier for me to understand them instead of getting frustrated or upset. It’s like that with managers, too. Managers are learning about working with us just as we’re learning to work with them and with IBM. We can give feedback. I think my manager finds it amusing that I think a lot about what brings out the best in me and I suggest that to him. Managers can’t read minds. Make it easy. 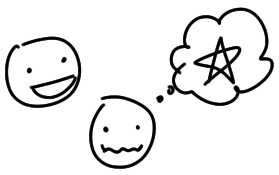 If your manager is receptive to the idea, give suggestions and share what you think. We can coach. When the pain of ineffective methods is strong enough to drive change (think about all the frustration over endless reply-to-all conversations), people will look for better ways to do things. Coach people on how to use tools and how to change practices. It’ll take time and they’ll probably get frustrated along the way, but you can help them keep their eyes on the goal (and remember how painful the old ways were!). We can help people see the big picture. Resource actions can sap morale. Impersonal communications can make you feel that the company has drifted from its values. Even if people are afraid, you can work on making sense of the situation, focusing on the positive, and looking for ways to keep moving forward. Vision isn’t just the CEO’s job. What you say and how you act can influence how other people feel about their work and how well they can focus on making things better instead of getting lost in the stress. There are a lot of individual contributors within IBM. If we see leadership as something everyone in the organization does instead of being limited to those who have the “manager” bit in their Bluepages record, if we remember that leadership competencies are something we can express no matter where we are in the organizational chart and we take responsibility for helping make IBM and the world better, and if we help as many people as we can, we’ll not only get through these growing pains, but we’ll make a company worth working with even more. Thanks to Rawn Shah for sharing a link to Bill’s blog post through Lotus Connections Profiles, and to Sarah for prompting me to write more about this! Michael Port’s follow-up to Booked Solid focuses on how to grow your business beyond yourself, and is an excellent read for people interested in taking the next step. On page 94, he also provides some tips on making things happen, and then he fleshes them out over the next pages. Adopt practices for exploring a variety of perspectives. Develop habits of commitment making and fulfilling. Tightly couple learning with action. Bring your passion to the project. Have a compelling story for your project. On page 146, he offers tips and outsourcing work to other firms. He firmly believes that you shouldn’t outsource in a way that creates a single point of failure for your business. If you work with firms and document your systems well, you can get back up and running after unexpected difficulties. Another good take away can be found on page 177, where he advises, “Schedule fun once a day — after your normal working schedule.” This not only helps you include your productivity by encouraging you to be more efficient, it also helps you manage your energy. Worth reading, particularly if you’re interested in scaling up.